Tastes very much like peaches. Kinda like the peaches you get from a can, in light syrup. 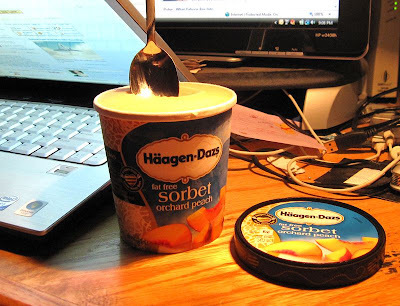 It's fat-free, but still with 33g of carbs, or 132g for the whole pint.